In 1832 the Ohio & Erie Canal established a transportation link between Lake Erie and the Ohio River. This new route transformed Ohio into an economic powerhouse, as Cleveland and Akron became worldwide centers of industry and commerce. Recognizing this contribution to America's history and culture, Congress designated the Ohio & Erie Canal National Heritage Corridor as the country's 14th heritage corridor in 1996. 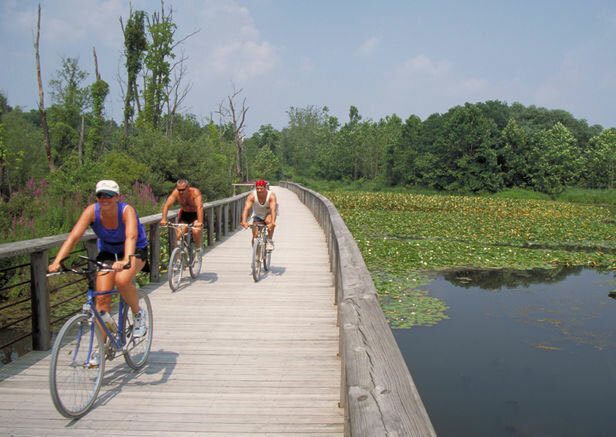 The Ohio & Erie Canal National Heritage Corridor extends 110 miles along the canal's path from Cleveland in the north to Tuscarawas County at the southern point and encompasses the Cuyahoga Valley National Park. The Trust for Public Land is helping to create an infrastructure of parks and protected lands throughout the entire corridor.